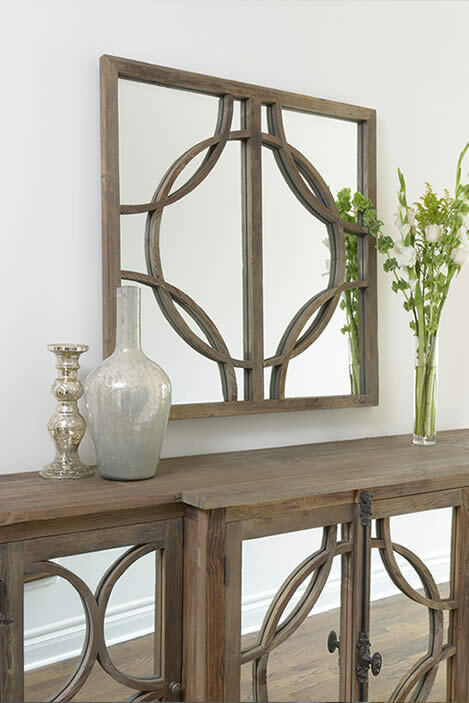 The Welllington sideboard is from our new collection made of reclaimed wood with high style designed mirror glass doors and antique style hardware. 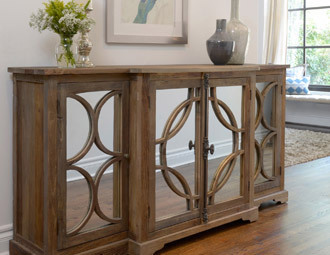 Natural cracks and knots inherent in salvaged wood have been preserved. Tuscan Buffet 3 Door 84"